The OCMT Organizing Committee and Board of Directors is a group of music therapy professionals who have volunteered to donate our time, energy and resources into this project. We are not legally affiliated with WFMT, AMTA or other professional music therapy organizations, yet we are active members within these groups. Faith is a Licensed Professional Counselor and Board Certified Music Therapist living in the Colorado Front Range (USA). Faith received her Masters in Transpersonal Counseling Psychology with a Music Therapy focus from Naropa University in 2007. As a therapist, Faith works with people across the life spectrum, from early childhood education to end-of-life care. Mindfulness and the therapeutic relationship are foundational to her music psychotherapy practice, SoundWell Music Therapy, and she has presented on these topics both nationally and internationally. With a desire to serve the music therapy profession, Faith serves on the Affiliate Relations Committee of the American Music Therapy Association (AMTA), and has in the past served as Chair and Website/Social Media representative for the Colorado Association for Music Therapy (CAMT). She is also a professional member of the World Federation of Music Therapy (WFMT). Having had opportunities to live and work abroad, she is keenly aware of the significance of international community. As the Executive Director of the OCMT, Inc., Faith seeks to further promote international music therapy community by offering accessible online music therapy education opportunities. Aksana, OCMT, Inc. co-Chair, currently resides in the Kingdom of Bahrain, where she works with individuals with special needs. She was the Eastern Mediterranean Regional Liaison for the World Federation of Music Therapy (WFMT) in 2011-2017, and is a member of the Education and Training commission of the WFMT since August 2017. 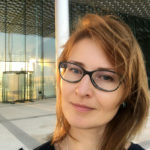 Aksana is a professional member of the Canadian Association for Music Therapy (CAMT), the American Music Therapy Association (AMTA), and the World Federation of Music Therapy. She holds the MTA (Music Therapist Accredited) certification and is a Neurologic Music Therapist-Fellow. Aksana has a Master in Music Therapy degree from the Colorado State University, Bachelor of Music Therapy from the University of Windsor (ON, Canada), and previously completed Bachelors of Arts and Music Education in Belarus. She served as a member of the organizing committee of the all previous Online Conferences of Music Therapy, for the 40th Annual Conference of the Canadian Association of Music Therapy (Toronto 2014), and the International Conference on Music Therapy and Supportive Cancer Care (Windsor, 2010). She can be contacted through her website, Aksana’s Music Therapy. Mary Jane heard about music therapy when she was 14 years old and decided at that moment to become a music therapist. Fortunately, even after going through school, she still enjoyed being a music therapist and has been a professional for the past twenty-three years. During that time, she has earned a Masters of Music Education with emphasis in Music Therapy. 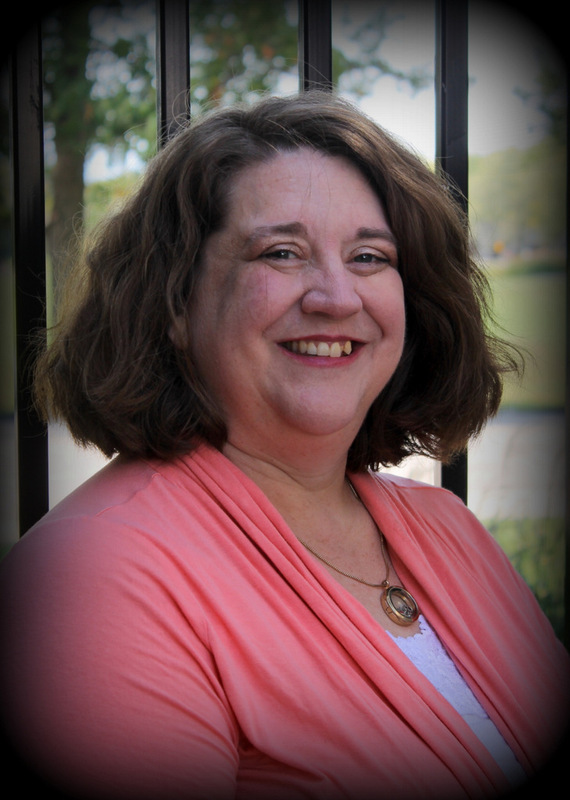 She is the staff music therapist at Lakemary Center, Inc., in Paola, KS. Her clinical focus varies between working with children and adolescents with developmental and psychological concerns and the curriculum and clinical training of music therapy students. Mary Jane is also the owner of www.musictherapyworks.com, a business geared toward product development and training for music therapists, music therapy students, and others interested in music therapy and music-enhanced education. A founding member of the Online Conference for Music Therapy (OCMT), she serves as Continuing Education Director and Treasurer. 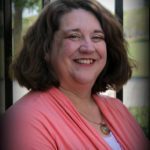 Michelle is a Board Certified Music Therapist living and working in the vicinity of the Twin Cities in Minnesota. She is currently serving as President-Elect of the Music Therapy Association of Minnesota and is a professional member of the American Music Therapy Association. 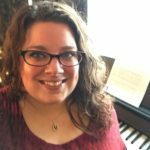 She earned a Bachelor of Arts degree in Music from St. Catherine University in 2008, and completed her Music Therapy Equivalency at Augsburg College in 2009. She was a 2011 recipient of an Anne Emery Kyllo Professional Scholarship allowing her to be trained in Neurologic Music Therapy. Michelle works in a skilled nursing setting with geriatric clients where she is especially passionate about helping individuals with dementia continue to live lives with value and meaning and to find ways to express themselves with the use of music. She continues to explore ways to advocate for the music therapy profession by giving short presentations to community support groups, service organizations and serving as a guest lecturer for the Music and Healing class at St. Catherine University. She is currently working to establish a national roster internship site at her place of employment and looks forward to supervising interns in the future. She has loved making connections thru attending past OCMT conferences and is excited to be joining the planning committee this year. Natalie has been a Registered Music Therapist with the Australian Music Therapy Association since 1999, having graduated from the University of Queensland with a graduate qualification in music therapy, and prior to that a degree in music from the Queensland Conservatorium of Music. Natalie travelled abroad and lived in Canada for several years, becoming an Accredited Music Therapist and Accredited Supervisor with the Canadian Association for Music Therapists. Natalie has presented widely at Australian and international conferences, been a guest lecturer at universities in both Australia and Canada, and served in various positions with both the Australian and Canadian music therapy associations. 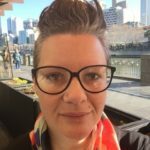 She is currently a member of the Australian Music Therapy Association’s supervision working group and serves on the management committee of the Australian Clinical Supervision Association . Natalie also works with the Australian Music Therapy Association in policy development and project management. Natalie is currently completing a counselling qualification and is looking forward to expanding her clinical practice. 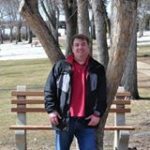 John is a music therapist working in Edmonton, AB. He specializes in working with geriatric clients, particularly those with Alzheimer’s type dementia and in recent years, neurological disorders and trauma as the result of neurological injury. Founder of the OCMT concept and a past presenter, he has a passion for connecting music therapists from around the world and a passion for educating the public concerning music therapy. He also instructs an introductory course in music therapy at several local university/colleges. John graduated from the Master’s of Music Therapy (MMT) program at Temple University in 1995. As music therapy professionals, we recognize a great need and a great potential for online conferences within our field, and we are committed to making that happen. As an Organizing Committee, we encourage you to provide ongoing feedback and involvement in the planning of the conference. We rely heavily on the use of social networking, blogs, newsletters and the like. During the conference itself, you will have an opportunity to speak with/text directly with the presenters, in real-time, and following presentations via chat type platforms. We believe that with access to internet, no music therapist should feel isolated within his/her profession, but feel empowered in sharing views, issues, concerns and positive outcomes. We believe that the more we learn from the different practices and cultural impact in music therapy the more powerful our profession will grow. We understand and value the contributions of support and learning that colleagues can make throughout your professional career as a music therapist. Previously, the formation of such networks was limited by your ability to reach out to fellow students and occasionally, professionals in your area. The internet has created unparalleled opportunity to meet and collaborate with colleagues throughout the world. This conference will likewise bring together participants from many countries, in many areas of practice.